Tooth extractions are sometimes a necessary dental procedure when you have teeth that are excessively damaged, decayed, or that are otherwise harming your overall dental health. For example, wisdom teeth that are partially or fully impacted often need to be extracted to prevent further damaging your mouth. Although Tyson Dental aims to preserve your natural teeth, in some cases extractions are essential. Even though tooth extractions are performed in the comfort and safety of your dentist’s office, they are nevertheless considered dental surgery. Because of this, you will be properly anesthetized and sedation, and receive post-operative guidelines to follow after your procedure. 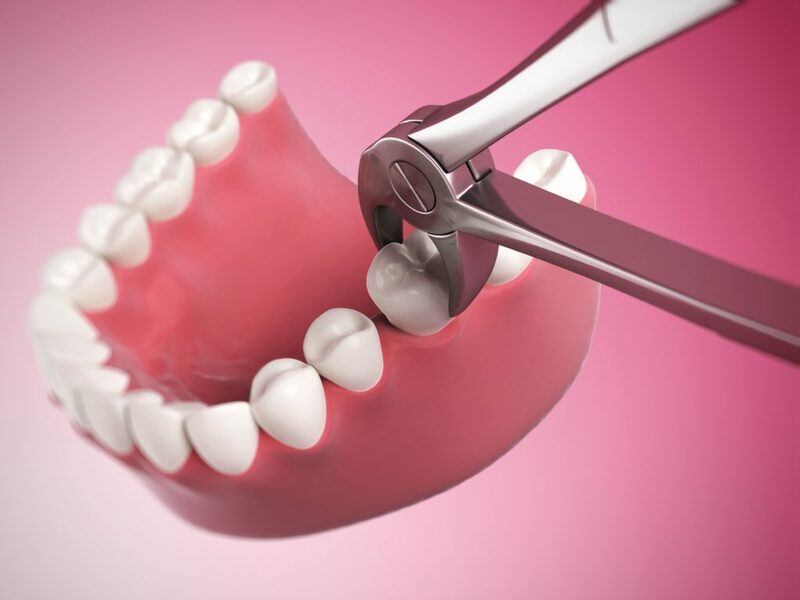 You may need a tooth extraction if you have severely decayed or damaged teeth that cannot be saved by a root canal or other restorative measures. Additionally, you may need to have a tooth extraction if your wisdom teeth are partially or fully impacted. However, the need for a tooth extraction can only be diagnosed by Dr. Tyson, so be sure to schedule a consultation at Tyson Dental. 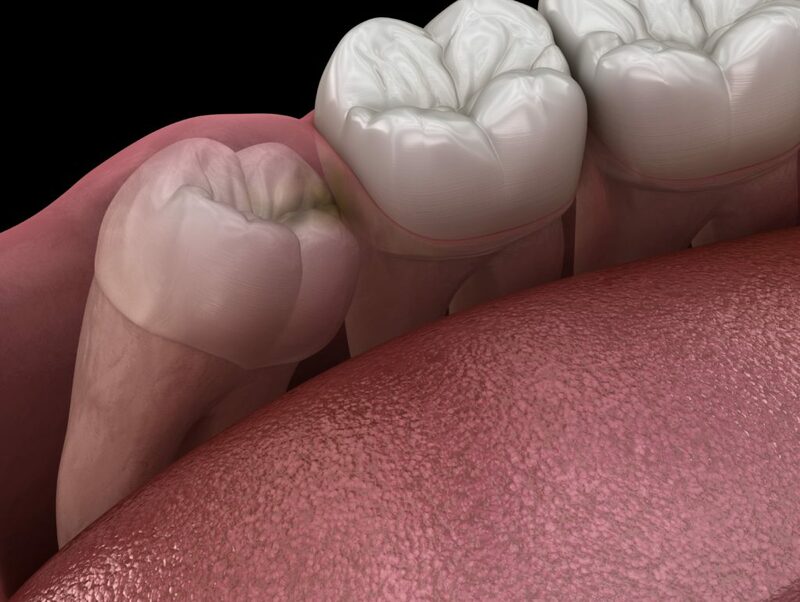 How do I know if my wisdom teeth are partially or fully impacted? If you are currently experiencing tenderness, swelling, pain, or bleeding of the gums near the back of your mouth, chances are you have impacted wisdom teeth. Additionally, you may notice you have bad breath, a bad taste in your mouth, and your jaw may hurt and be swollen. Wisdom teeth are the third set of molars that erupt during the late teens. Although they were once an necessity, evolution has deemed them unnecessary and the modern mouth rarely has enough room to accommodate them. Because of this, they may either partially erupt or stay trapped within the jawbone. Partially impacted wisdom teeth refer to wisdom teeth that have erupted above the gum line so that some of their crown is visible. Fully impacted wisdom teeth refer to those that remain trapped in the jawbone and have not been able to erupt past the gum line. Since most wisdom teeth are either partially or fully impacted, they pose a threat to your dental health if left undisturbed. Both types of impacted wisdom teeth will continue to grow, and these grow patterns can cause damage to surrounding teeth, cysts, gum disease, and tooth decay. Removing partially or fully impacted wisdom teeth becomes a necessity to avoid further damage to your mouth and maintain your dental health. Prior to your tooth extraction, Dr. Tyson will ask you about any medications, vitamins, supplements, or over the counter drugs that you are taking. He will also ask about your medical history and if you have a congenital heart defect, diabetes, liver disease, thyroid disease, renal disease, hypertension, an artificial joint, damaged heart valves, adrenal disease, or an impaired immune system. If you have a weak immune system, a medical condition that may affect healing, or are planning to undergo a lengthy procedure, Dr. Tyson may also prescribe antibiotics to take the night before your procedure. Additionally, you will need to fast for 6-8 hours before your procedure, which means no eating or drinking after midnight. The morning of your procedure, you will want to wear comfortable and loose-fitting clothing, as well as closed-toed shoes. If you are feeling physically ill the morning of your procedure, you will need to make Dr. Tyson aware of this and your procedure may be rescheduled. Will I be sedated during my tooth extraction? Yes, Dr. Tyson will provide you with some form of sedation during your extraction. The type and level of sedation will depend upon the length and extent of your procedure. There are three main types of sedation used: inhaled, oral, and IV sedation. What can I expect when having a tooth extraction at Tyson Dental? 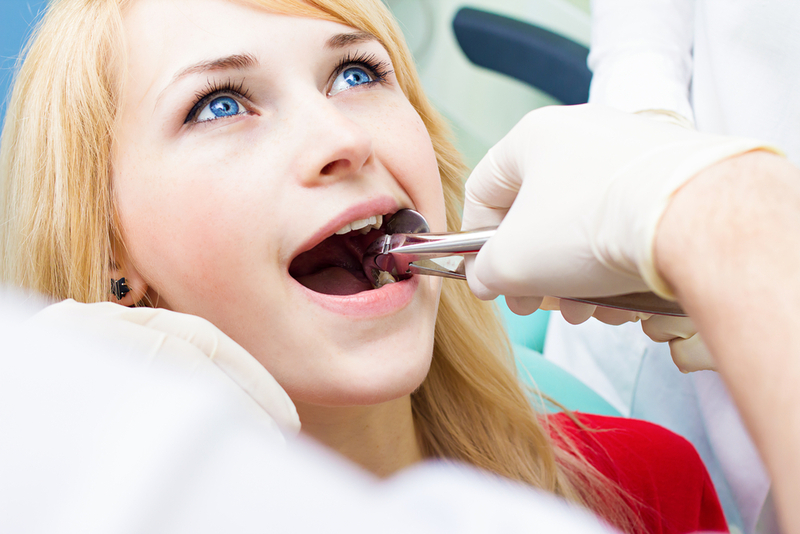 During your tooth extraction, you can expect to be made comfortable. As mentioned before, the level of your sedation will depend on the length and extent of your procedure. There are two types of extractions that my be performed: simple or surgical. A simple extraction is performed when the entire tooth is visible above the gum line. During a simple extraction, Dr. Tyson will use a special elevator tool to loosen the tooth from the socket, followed by forceps to remove it. When simple extractions are performed, oral or inhaled sedation is generally used and you may feel sensations of pressure, but you shouldn’t feel any pain or discomfort. A surgical extraction, on the other hand, is performed when the tooth is partially or fully impacted. This is generally the case with wisdom teeth. During a surgical extraction, Dr. Tyson will make a small incision in the gums to access the tooth and cut it into small pieces. Then, he will remove the pieces of the tooth until the entire tooth has been removed. Depending on the situation, some of the surrounding bone may also need to be removed. Because surgical extractions require a more extensive procedure, local or general anesthesia is provided through an IV. With local anesthesia you may be somewhat conscious or in a light sleep, while with general anesthesia you will be completely unconscious. What post-op guidelines will I have to follow after my extraction? For quality restorative dental treatments, schedule a consultation with Dr. Chase Tyson of Tyson Dental today! We are proud to serve residents of Huntsville and the surrounding communities.